Percona Poll: What Database Technologies Are You Using? Take Percona’s poll on what database technologies you use in your environment. 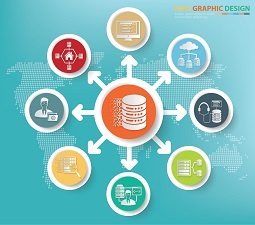 Different databases get designed for different scenarios. Using one database technology for every situation doesn’t make sense, and can lead to non-optimal solutions for common issues. Big data and IoT applications, high availability, secure backups, security, cloud vs. on-premises deployment: each have a set of requirements that might need a special technology. Relational, document-based, key-value, graphical, column family – there are many options for many problems. More and more, database environments combine more than one solution to address the various needs of an enterprise or application (known as polyglot persistence). Please take a few seconds and answer the following poll on database technologies. Which are you using? Help the community learn what technologies critical database environments employ. Please select from one to six technologies as they apply to your environment. If you’re using other solutions or have specific issues, feel free to comment below. We’ll post a follow-up blog with the results! Which of the following open source database technologies do you use? Having the poll sent to mostly MySQL community is unfair and won’t give accurate results. I’m not sure if there are any or not but the poll should also be published to the other DBs community or groups! Moll, You are right. This poll is not suppose to represent the Open Source database community as a whole – DB Engines Rankings http://db-engines.com/en/ are much better in this regard. This poll to tell us what Percona Blog readers are running to tell us what contents they might be interested in. What was the correlation between the DB responses?